I sincerely thank Neha Kulkarni and scorpio1987sajal for nominating me for this. I feel really happy by getting nominated 2 times in just 2 days. This could not be possible without all my readers’ support. I thank all my readers and followers for their love and support. Q1: Which things shift your mood from sad to happy? A: When I am sad, I always go for music. Also, the most important thing which shifts my mood is Art. Along with these, talking to friends and family always makes me happy. Q2: Which Cartoon or comic character do you love the most and why? A: My favourite Cartoon is Oswald. I used to watch it a lot when I was very little. I love that blue octopus with a small hat and a cute dog. Also, I love Mr. Bean a lot! I guess everyone loves it. Q3: Whom do you count when you feel sad? A: Mom and Dad is who I count on when I’m sad, also I count on my best friend everytime I get sad or tensed. Q4: When was it last when you had thanked the person on whom you always count on? A: Few days back, I thanked my best friend for always being with me and helping me in the time of need. I thanked Mom and dad too. Q5: What made you write your own blog? A: There was a career counselling few months back where the counseller suggested all art lovers to create an online portfolio or a blog. So, then it inspired me to start my own. Q6: How do you find my blog and what suggestions will you give me to improve my blog? A: Your blog is amazing! I love your thoughts. From expressing to impressing you are great. Worth reading. I don’t think so I have anything for you to improve. Everyone have their own writing style and way. I think you are best in your own special way. Q1: What is the secret which you have been hiding from years? A: There is no secret! Q2: Do you have a blogger crush, if yes then who? A: No, I don’t have any. Q3: Which place you will never wish to travel? A: I guess Pakistan, but I want to do a world tour so I will see. Q3: Sadness or happiness which inspires you most for writing? A: Fear of Shark and Darkness. Q5: Given a chance to do a face swap, It will be which celebrity then? A: Shraddha Kapoor. She is my favorite actress. I like her acting skills and she is beautiful. I love watching F.R.I.E.N.D.S . I’m a very big fan of friends and I love watching it. I am a travel freak and I want to travel the whole world. My dream is to World travel. I love Art. It’s my passion and I want to go in the field of art and I also love photography a lot. I love dancing and writing poems. I dance whenever songs are playing and it relieves stress. I want to earn money so as to provide part of it to charity. I love serving people. Q1: What do you love the most and why? Q3: Where do you see yourself after 5 years from now? Q4: Which is the most funniest and weird thing you have ever done in your life till now? Q6: Which is the thing you will never forget your whole life? Q7: Which festival/day you wait for a whole year? Q8: A memory you want to share and why do you like it? Other than the nominees readers can also answer these questions in the comments! I would love to know. Wonderful! Pleasure is all mine for nominating such a lovely artist. 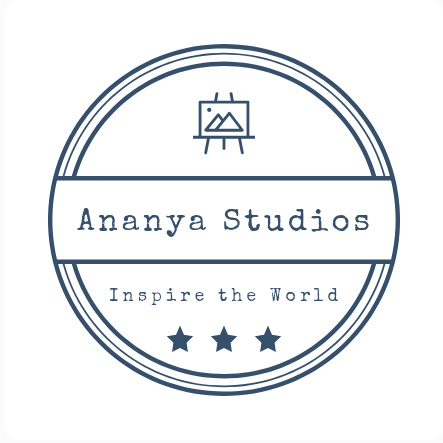 Hey Ananya! Great Answers! Congratulations, You truly deserve this award! Keep going! Hey..Nothing like that! We are Blogger Buddies! Oh yes and F.R.I.E.N.D.S Buddies too….. Your welcome..well..its my pleasure to nominate a wonderful artist like you!! Thanks for supporting me always! I love most Arts because that’s my life and everything for me. It’s heal me and distracted me from everything. Mm you have to go with rules.. I never did dance in my whole life I want to see in future myself successful blogger or writer and Artist. (1) What do you love the most and why? – medico because I love it and the happiness you get when a patient of your gets discharged with good health and smile . (2) What makes you dance around ? – when a little bits of my work gives a great picture at the end . – when I hear the news that my brother is here . (3) Where do you see yourself after five years from now ? – In a clinic of my own treating patients , wearing the white Cape with a stethoscope in a hand , doing three to four o.t. and saving lives of others . – with an month-end life taking off for a trek and draw a sketch of the scene and play guitar over there . (4) funniest and weirdest thing in. Life !. And we went through bikes for 700 KM’s for that pleasure. – I do read it again and again as it motivates me in me being a blogger . – me judging a drawing competition for 300 students from 1-10th standard at the age of 20 . – they sent a small face of a superhero and asked me can you do it or will u trace it . – and they laughed at me as I was junior I got humiliated. – started drawing and I drew not only face but the jacket too with details of STARLORD in just three hours, went the same day and submitted it in a cover and came back . – next day I got tons of messages that they wanna buy it . – and they asked me sorry and it is put on the main wall in the college entrance . Thanks a lot for appreciating.. But there were rules in the blog posts!! Read it! But your answers are really amazing!! Loved reading them!! Hope you get what you wish for!!! Wonderful u deserve it for your extremely interesting and good blogs ! Keep it up ! !